We are developing a flexible beehive monitoring infrastructure platform and toolkit based on affordable hardware, wireless telemetry and modern software. Open source, open hardware and a friendly community. We are a group of beekeepers from Berlin regularly meeting on wednesdays since 2014 to build a collaborative telemetry platform for beehive monitoring. We are Karsten, Robert, Clemens, Richard, Martin, Andreas and Dazz. 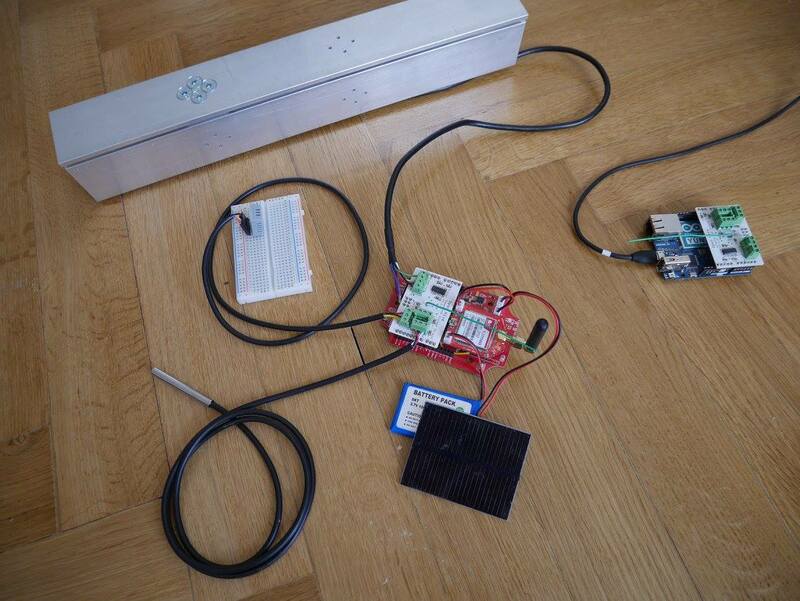 Hiveeyes is an open source, DIY toolkit for building beehive monitoring setups. It is modular and built upon contemporary technologies and components like Arduino, MQTT, InfluxDB and Grafana. 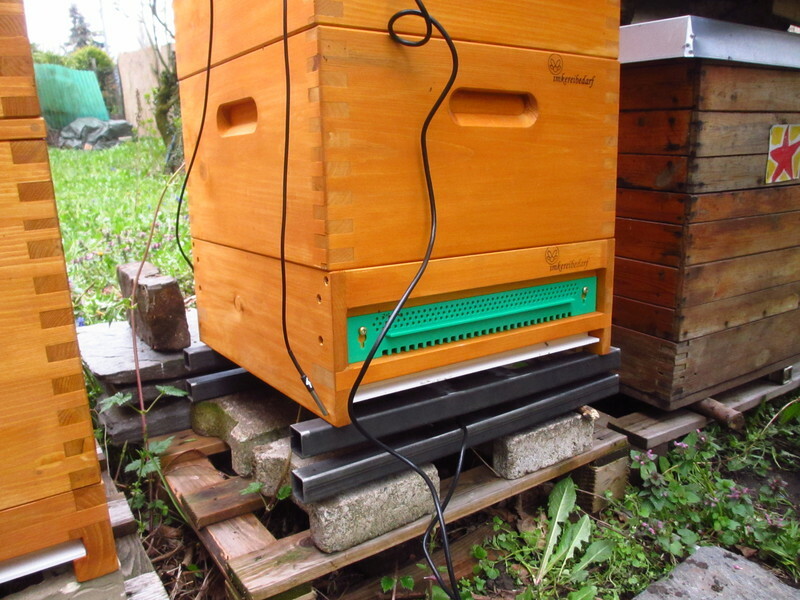 With low-cost, low-power hardware, we aim at making non-invasive beekeeping as affordable and comfortable as possible. It is important to us that the core backend components do not depend on any 3rd-party services to work. While available as a hosted system running on our shared platform "swarm.hiveeyes.org", it also works self-contained even on a RaspberryPi or similar System-on-a-Chip computer. 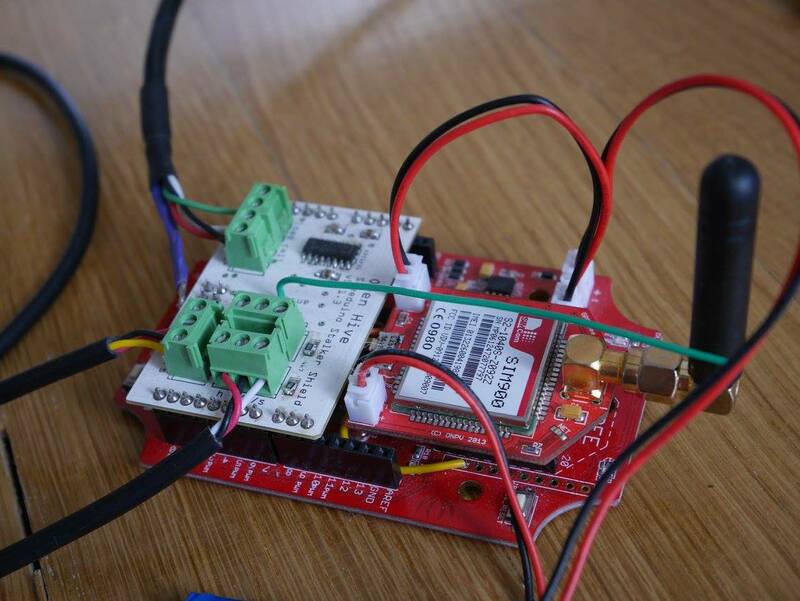 The roots of this project reach back into 2011, where one of its founders started researching into the topic of low-cost beehive monitoring during the advent of the Arduino ecosystem, which offered an affordable, low-barrier entrypoint to MCU programming together with a growing, vibrant community. Early hardware and firmware prototypes were conceived in the upcoming years and finally the rest of us joined the project in 2014. After a while of planning, discussions and iterations over the efforts of the founding members, we finally reentered the main collaborative designing and building phase in 2015/2016. We are now at the point where we nailed the components of the system and open sourced all major software artifacts required to run the whole stack, from embedded firmware to backend system components. The source code is on GitHub, so we are happy to share our efforts completely with the community and look forward to the next development iterations, now completely in the open. Beginning autumn 2016, we will reiterate on different aspects of the software- and hardware-components, decide about which hardware route to follow and hopefully will start producing some small batches next year. We will also put some efforts into a scientific project we were asked to collaborate with and always look forward to your feedback. There are many bits and pieces to look at and require more intensive testing. We need you! If you are still reading, you might want to continue at the projects’ goals. Free software and hardware licenses like GNU GPL, AGPL and CERN OHL. No vendor or on-demand-service lock-in effects. Run it on your own or for communities of any size. Feel free to customize and improve any part of the system. A multi-channel, multi-protocol data acquisition and graphing toolkit. 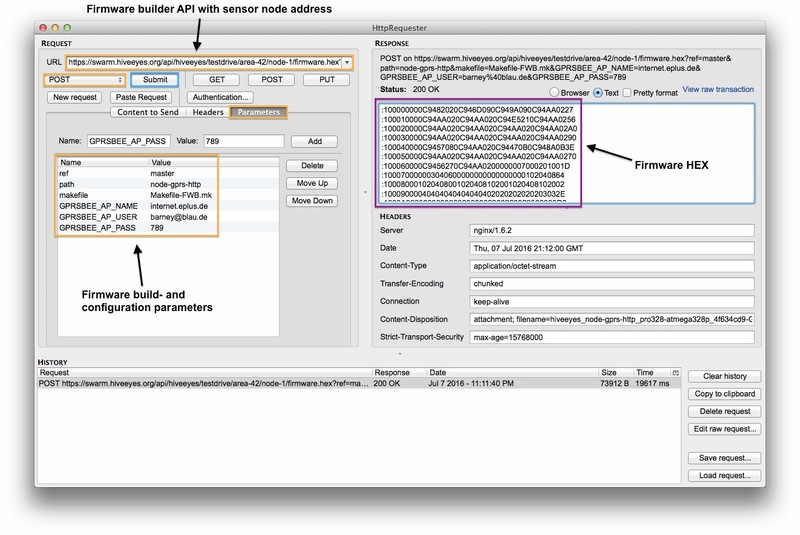 A message broker that implements the MQTT protocol. A feature rich metrics dashboard and graph editor. Plays well with InfluxDB. 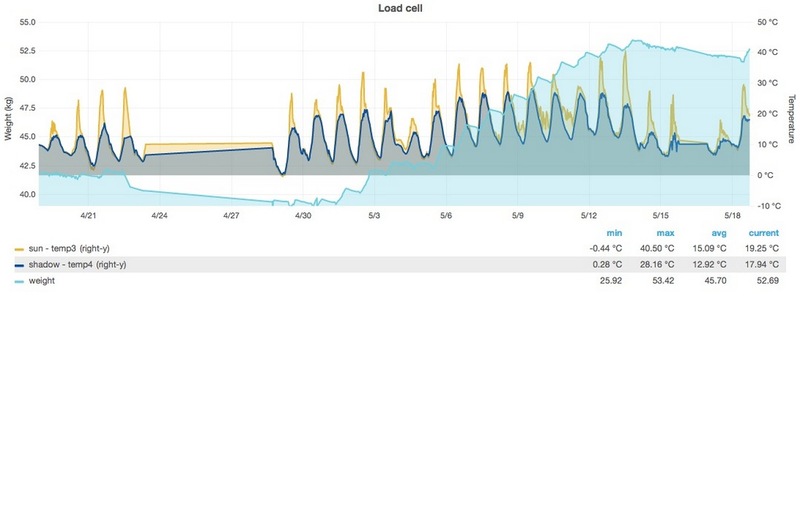 A time series database suitable for realtime analytics and sensor data storage. A document database designed for ease of development and scaling. A powerful, pluggable notification system for MQTT. A popular do-it-yourself microcontroller computing platform based on Atmel AVR. Low-power 8-bit RISC single-chip microcontrollers. Low-power, low-cost Wi-Fi chip with 32-bit Tensilica MCU and full TCP/IP stack. Sub-GHz RF transceiver modules RFM69 and RFM95. A machine-to-machine (M2M, IoT) connectivity protocol and software bus. A powerful, event-driven networking engine. with GPRSBee module for GSM telemetry and custom connector shield. Open Hive Seeeduino Stalker, boxed. 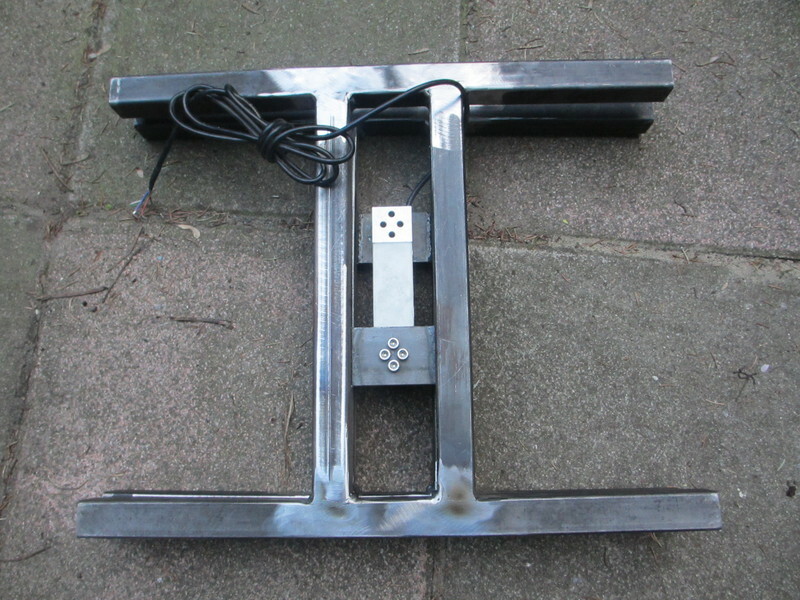 Asymmetric-design hive scale with Bosche H30A load cell, unassembled. 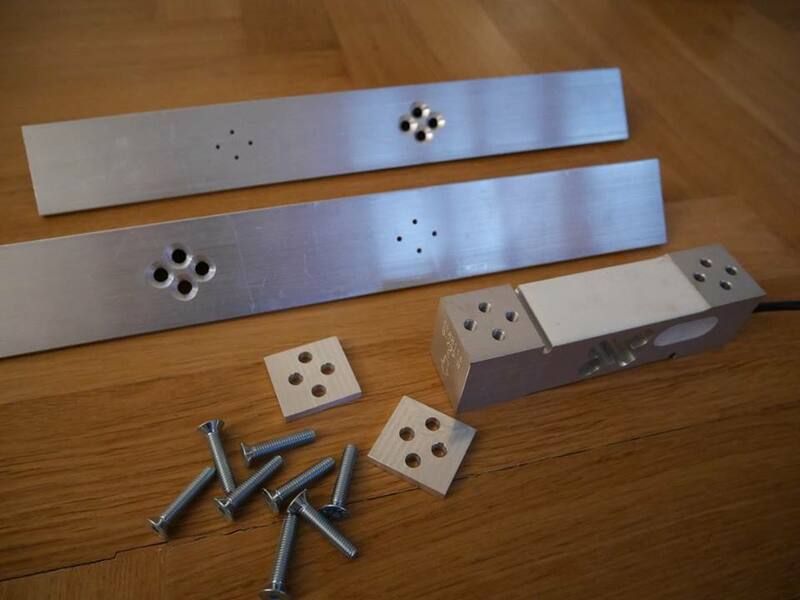 Asymmetric-design hive scale with Bosche H30A load cell, assembled. GPRSbee module and custom connector shield. 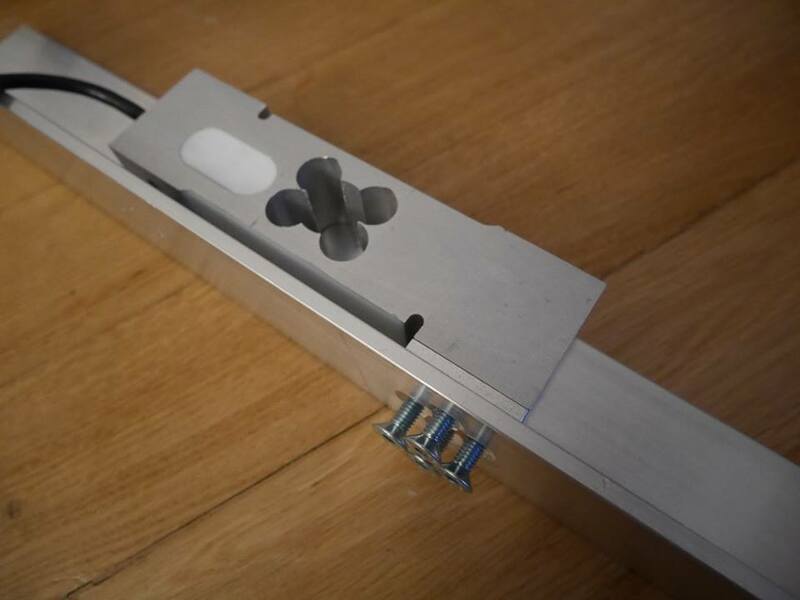 Asymmetric-design hive scale with Bosche H30A load cell. 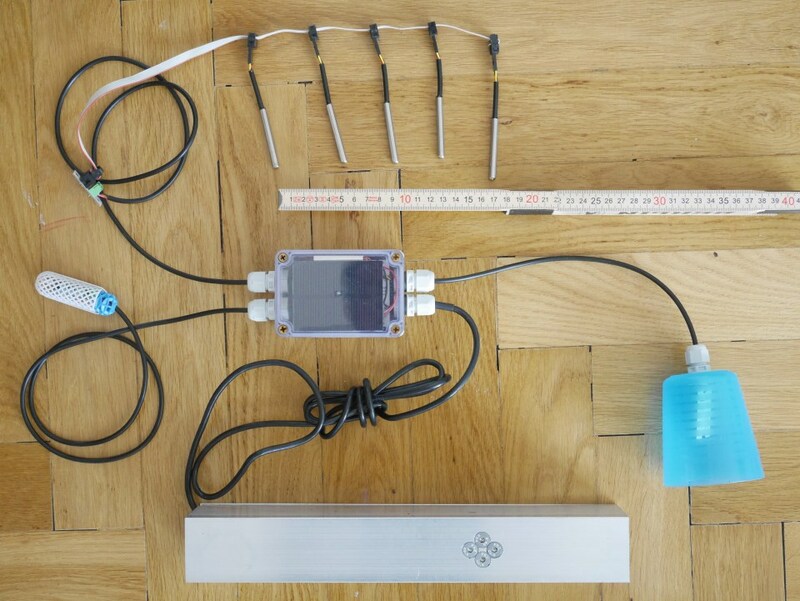 Temperature array for multi-point temperature measurements. 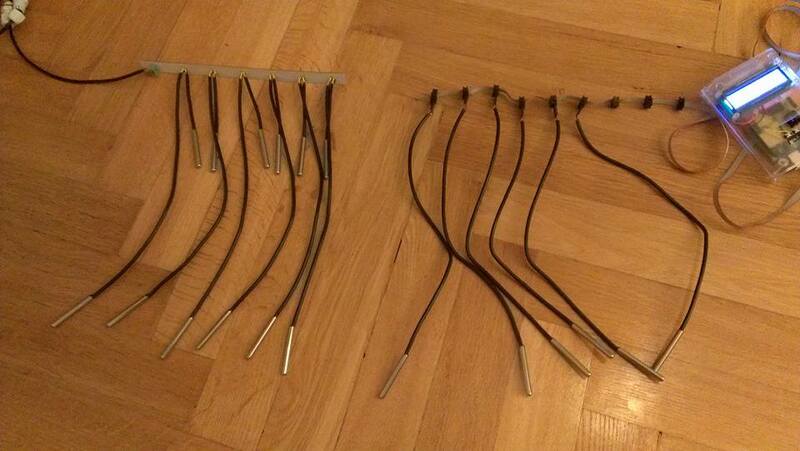 Two different implementations: Left with PCB, right with ribbon cable. with Bosche H30A load cell, assembled. Scale frame at the »LabHive One« beehive, mounted. Harvesting period April/May 2016 recorded from »LabHive One« and displayed in Grafana. A »Schwarmalarm« event on May 20, 2016 from »LabHive One«, displayed in Grafana. 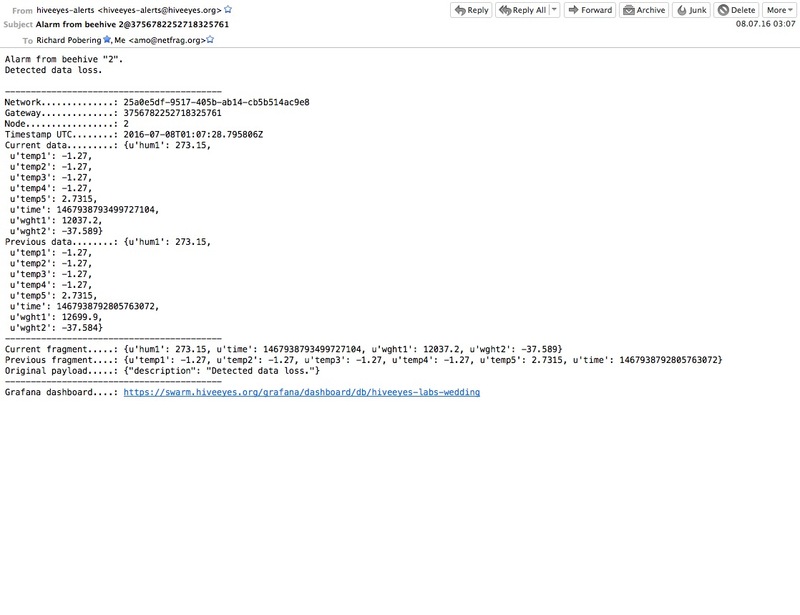 A data-loss event notification email was triggered by »mqttwarn«. The reason was connection-loss on the gateway machine. Acquire firmware with flexible build- and configuration parameters without having a build chain installed. RF69 and RF95 radio communication using BERadio protocol with Bencode serialization. 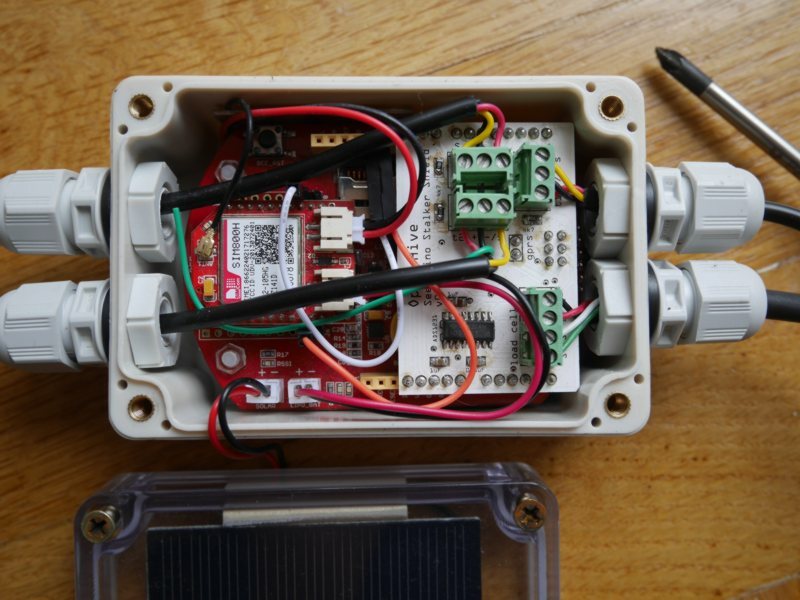 MQTT- and HTTP-based data acquisition. 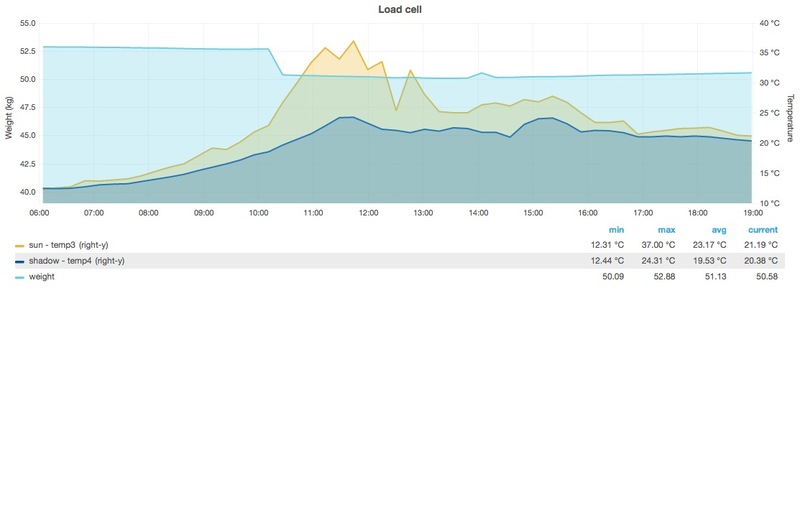 InfluxDB storage and Grafana visualization. Remark: Hovering over the image will pause the slideshow. Beekeeper Clemens Gruber shares how he gets insights from his beehive through computer based monitoring in the “Open Hive” project. 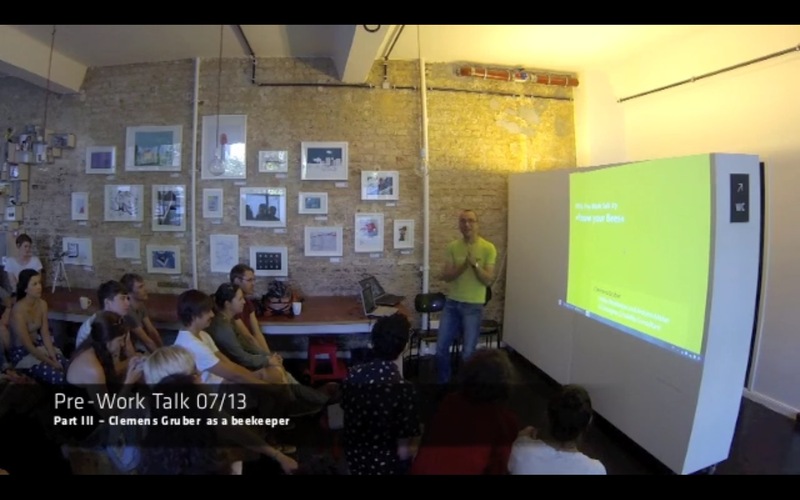 Clemens starts talking at 26:00 minutes. liebe mauergärtner*innen, liebe imker, liebe nerds, liebe menschen. 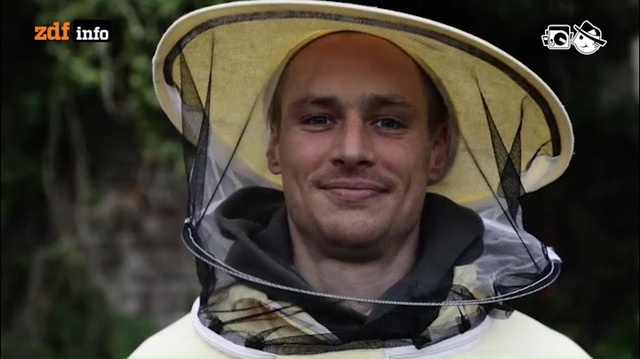 Beekeeper Clemens Gruber (Open Hive) was featured in the article »The Very First Maker Faire Berlin Doesn’t Miss a Beat« by Donald Bell. 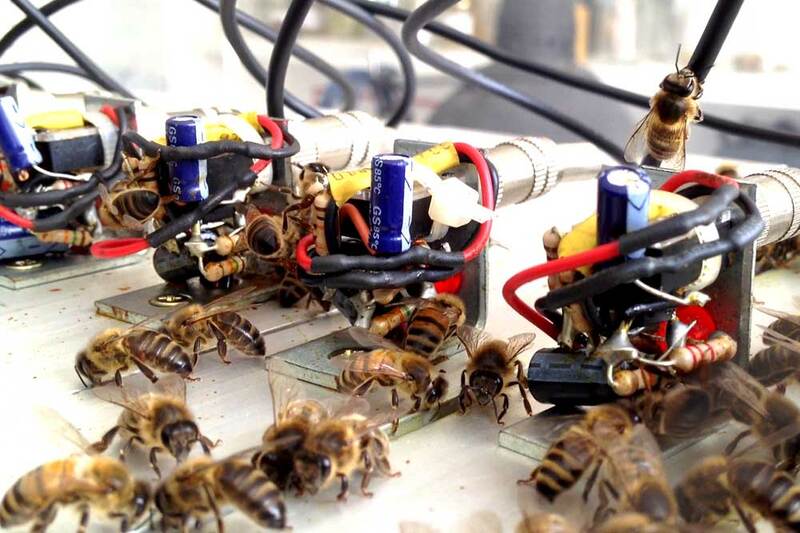 Beekeeper Richard Pobering talks about the Hiveeyes project in »Elektrischer Reporter 149: Vernetzte Bienen, Fahrradlobbyisten und Spielausgrabungen«. 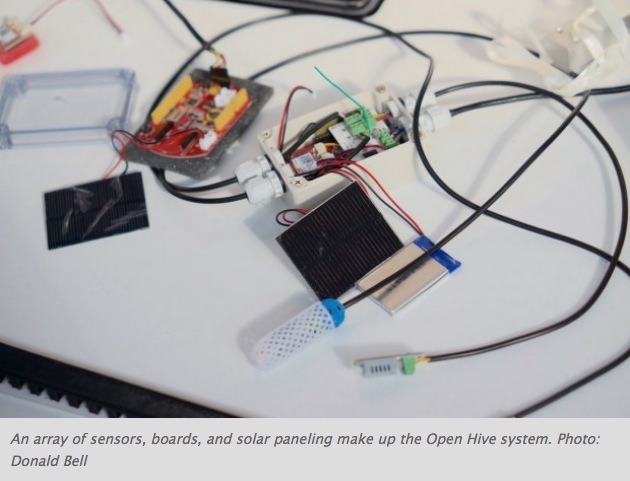 The Open Hive and Hiveeyes projects at the Maker Faire Berlin 2016. © Copyright 2013-2019, The Hiveeyes Developers. CC-BY-SA 4.0. Last update: April 20, 2019. Version 0.5.2.